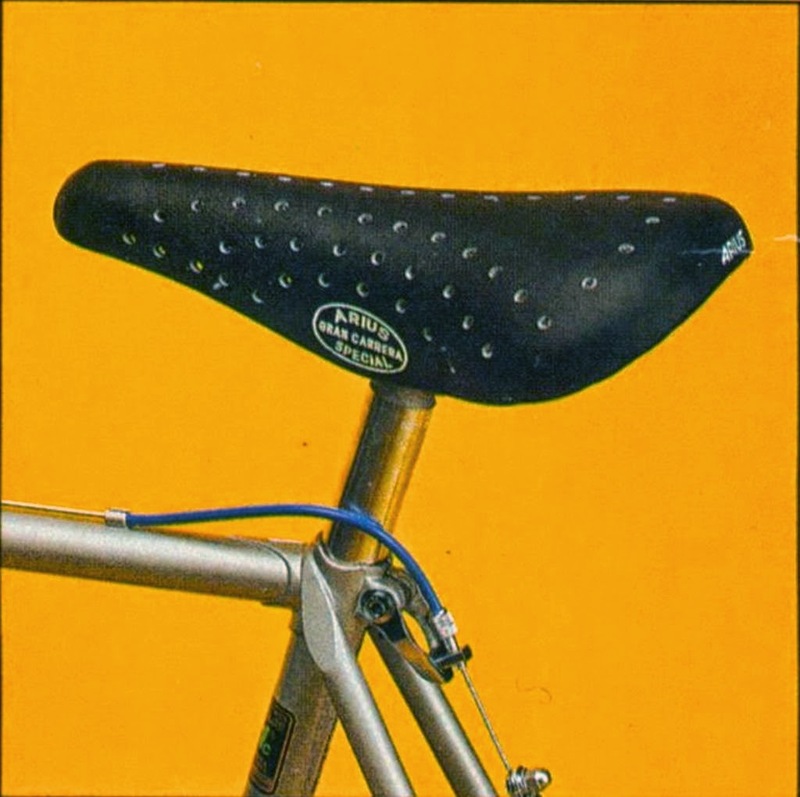 I love saddles and have recently been looking for a 1970's (or early 80's) leather Cinelli Unicanitor saddle for a vintage road bike project. You know the one...the plain looking iconic leather saddle with the circular Unicanitor Brevettata stamp on each side. 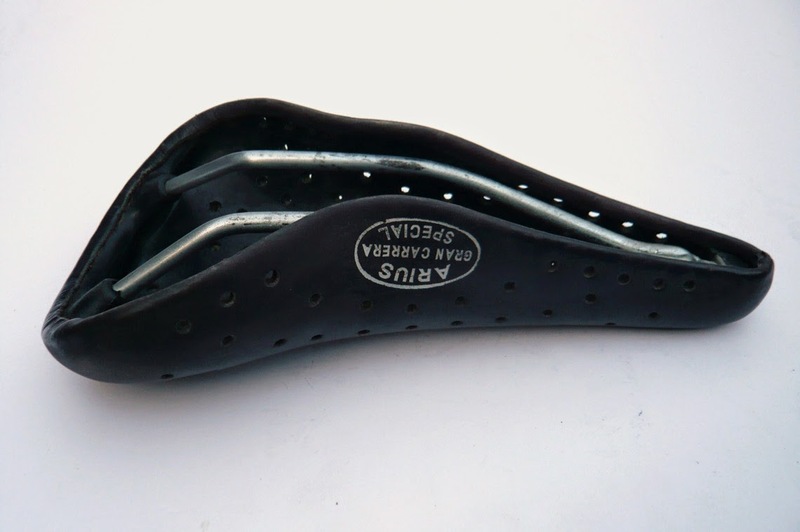 These saddles were made famous by European cyclists during the 70's and 80's. 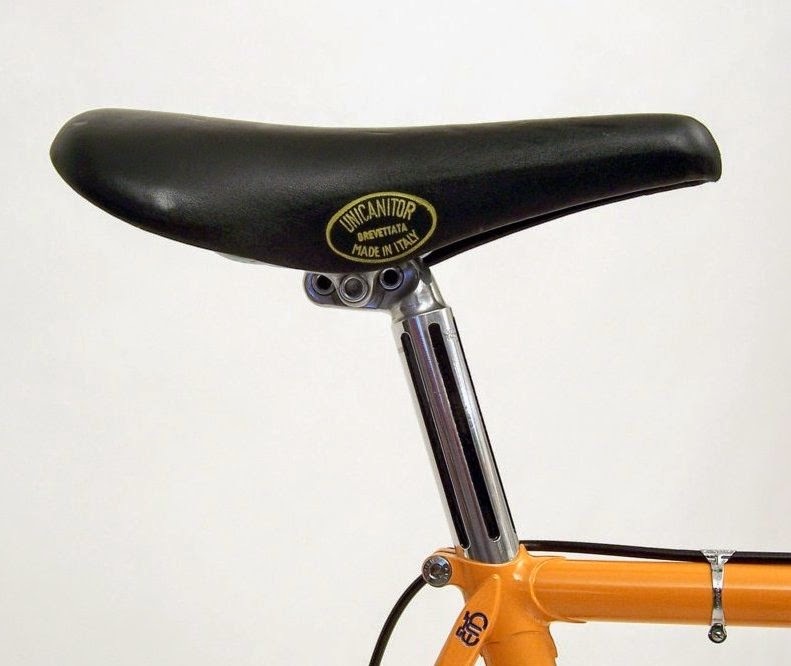 A classic Cinelli Unicanitor saddle. The holy grail of European cycling saddles. Whilst trawling through the usual places in search of the holy grail of saddles I came across perforated saddles from the 1970's. Sometimes they are referred to as drilled saddles. 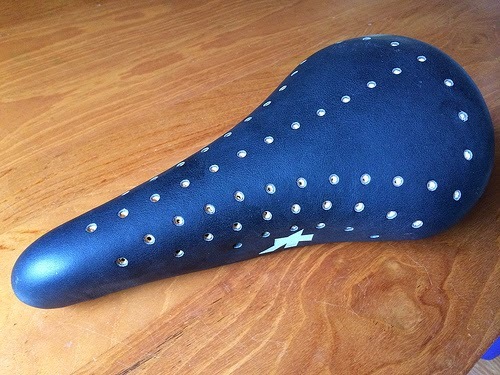 Normally, if something has a hole in it you would throw it away....but these saddles are an exception to the rule. I thought they looked just great so I would like to share them with you. 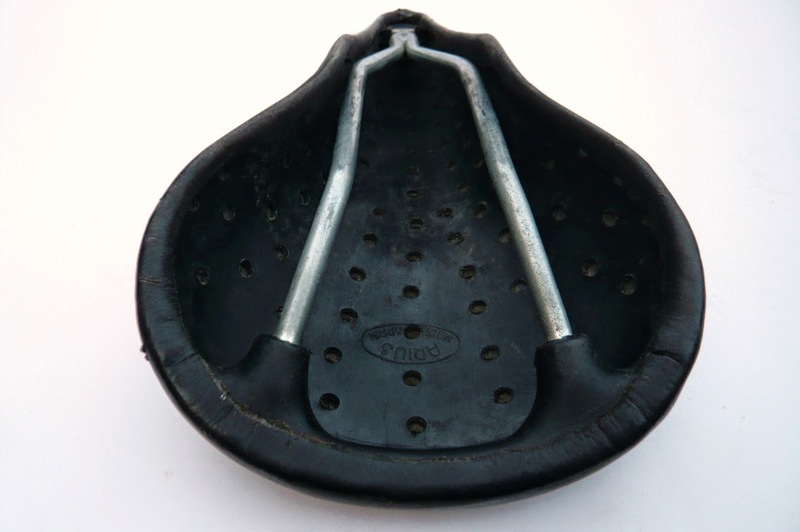 Information suggests that these saddles were made for early cyclocross bikes. The theory was that the perforations made the saddles easier to clean and maintain when the underside was filled with mud. A great idea I suppose but I'm not too sure about the practicality of it all. Either way the idea made great looking saddles. There are very few examples on offer and if they do pop up for sale each piece generally sells for a high price. 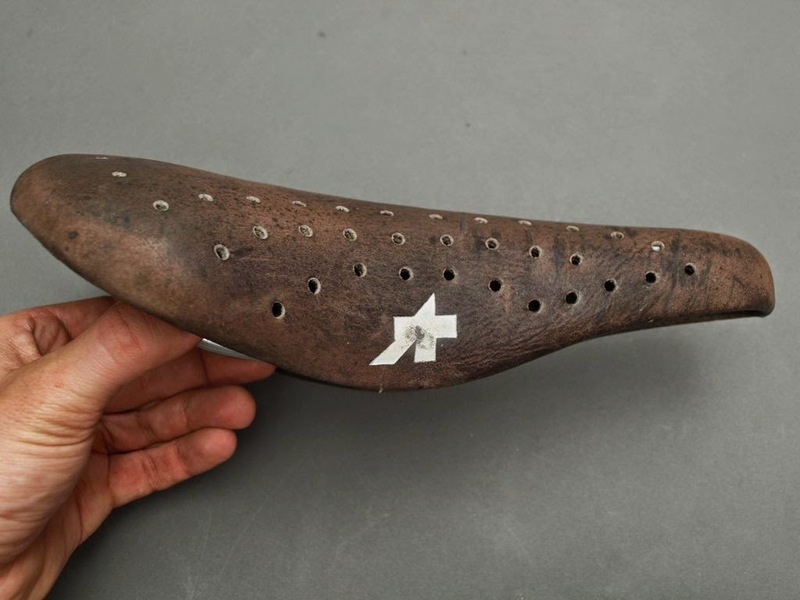 I also discovered Arius perforated saddles, a Spanish brand of saddle that was made during the same period. The Spanish version was not so popular so the company tried to market the saddle under alternate Spanish brands such as Zeus and Soffatti. Here are some examples. After a bit more digging I also found a Milremo version below. 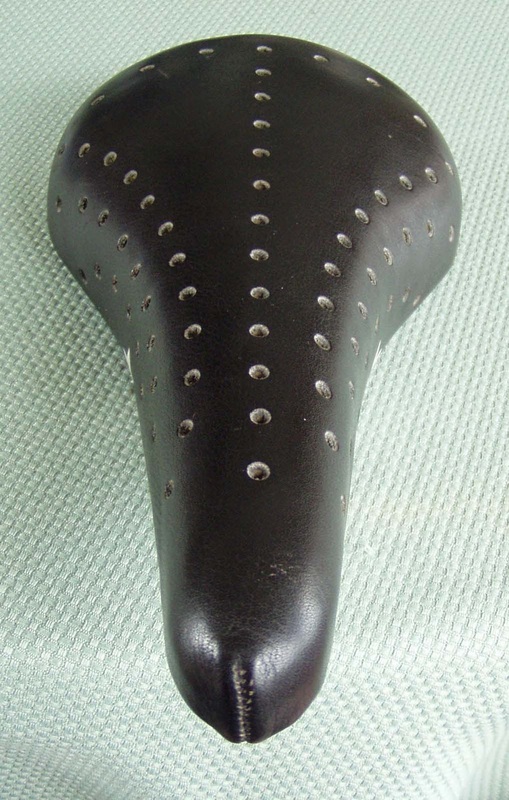 This one is almost identical to the Arius saddle but branded Milremo. 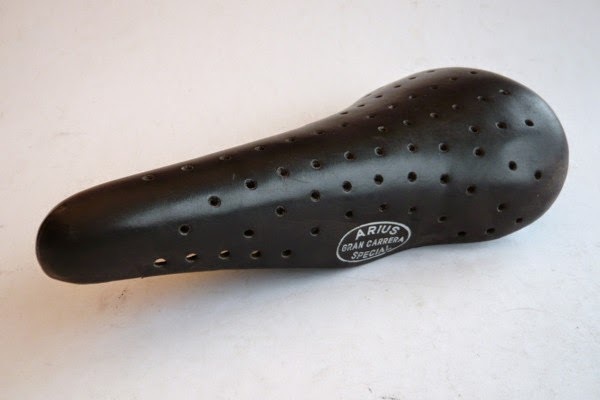 Although Milremo is an Italian brand I would assume it was made in the same Spanish factory as the Arius saddles. Labels: Arius Gran Carrera Special, Arius saddle, Assos saddle, Cinelli Unicanitor, drilled saddle, perforated saddle, Spanish saddle. I had one of these saddles back in the 80s. It was white leather and while looking like nothing special, turned out to be one of the most comfortable saddles I've ever ridden on. I found it in a local bike shop, branded Soffatti (with Zeus stamped into the plastic base underneath), I think I paid about $30 for it. I used it for years and sold it on Ebay for twice what I paid for it when I stopped riding for a few years. I wish i still had it today. If you look beyond Campagnola, some excellent components could be had for bargain prices from lesser known European companies like Simplex, Huret, Zeus, Galli, etc. as long as you avoided the bottom-of-the-line stuff. I will admit that my lovely little Huret Jubilee rear derailleur shifted atrociously, though.